Every food and beverage company faces its own unique set of food safety and quality challenges. Yet, there are some standout hurdles shared across the industry as a whole. Here, we’ll take a look at the five most significant challenges impacting the food and beverage industry today. According to the 2017 Food Safety & Quality Operations survey, conducted by SafetyChain Software and The Acheson Group, 48% of respondents have a risk-based supply chain control program in place within their organizations. Having effective supply chain controls is an integral element in mitigating risks, but just 32% of respondents said that they have immediate visibility into supplier non-conformances. The inability to proactively address non-conformances as they happen can be a major threat in your ability to control risks. Mitigating risks doesn’t just mean controlling product loss, of course. It also aids in your ability to provide a safe, high-quality end product for your consumers. In doing so, you can support consumer wellness, maintain your brand image, and avoid the potentially crippling costs of recalls. Indeed, risk mitigation continues to be a persistent concern for food and beverage companies. The cost of withdrawals, rejections, and recalls industry wide is estimated to be more than $7 billion annually. This figure encompasses everything from internal waste to the high costs of lawsuits, as well as brand repair when illnesses (and worse) result from highly-publicized recalls. Managing and meeting KPIs is critical to delivering safe, high-quality products to consumers, while also remaining competitive and profitable. The Cost of Quality (CoQ) can significantly impact a company’s ability to excel in KPIs such as waste, product holds, re-work, net weight performance, and customer complaints. First and foremost, companies’ inability to improve in meeting KPI goals lies in their limited visibility into KPI performance. The majority of companies polled in the survey above do not feel confident in their ability to track operational performance for continuous improvement, cost of quality, or sustainability. Moreover, only 38% said they have good visibility upstream, downstream, and internally at their company. Without the ability to track KPI performance over a specific period of time, it’s impossible to gauge where you’re underperforming or excelling. This significant lack in visibility impairs goal setting decisions, which directly correlate to your company’s ongoing success. Food and beverage companies are constantly at odds with the need to do more – satisfy more requirements, meet more regulatory and third-party challenges, and prepare for more audits – while using fewer resources. In fact, survey findings reveal that for the majority of companies, resources are the most significant barriers to getting a good night’s sleep. Time was the second most significant concern, which illustrates the pinch many companies are feeling to deliver results with limited resources. If your company is like most, you probably have an ongoing need to keep up with changing regulations while also staying competitive. Unfortunately, with more regulatory demands comes more paperwork, more stress, and in some cases, more public scrutiny. Companies must find a way to satisfy these growing needs, but for most, continuously hiring more people to handle all of them is not a viable option. In the survey referenced above, less than half of companies surveyed (45%) said that their records are always audit ready, while just 35% stated that they’re prepared for unannounced audits. Record management and documentation continue to be challenging aspects of audit preparedness. Specifically, managing internal, regulatory, and non-regulatory standards and requirements has become and administrative burden for food safety and quality (FSQA) teams. This is especially true given the complexities, evolving standards, and tasks associated with ensuring compliance with a number of unique requirements, such as FSMA, inspections, Hazard Analysis and Critical Control Points (HACPP), GFSI, customer quality attributes, and internal audits. Showing records to auditors or responding to inquiries is time-consuming and labor-intensive for companies without a centralized repository. If your company still operates using a paper-based system, you could find yourself sifting through paperwork, files, boxes, and spreadsheets to prepare for audits or retrieve the data needed to support inquiries. In addition to delivering the best products possible and achieving compliance, food and beverage companies must also continuously drive business results to ensure competitiveness and operational excellence. 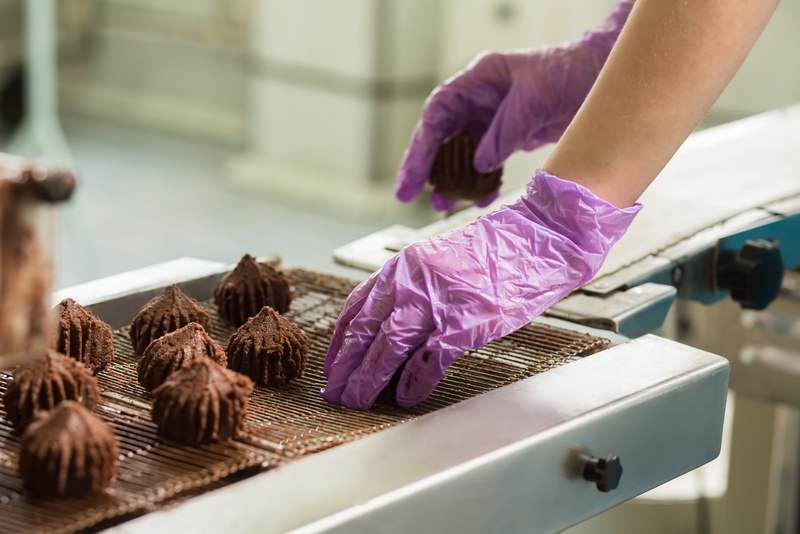 Yet, while continuous improvement is among the most important components of all best-in-class food safety and quality plans, programs, and third-party schemes, it’s also one of the greatest challenges. From file cabinets, to binders, to multiple electronic systems that don’t work together, a company’s vital FSQA data might be stored in a number of different locations across multiple facilities. If there’s no easy access to comprehensive information, an organization doesn’t have the actionable data needed to identify trends and make informed decisions on how to optimize performance and implement improvement. While confronting these challenges can be overwhelming, taking the time to consider the ways in which they impact your facility is an important first step in developing sound solutions. With the right tools and some strategic planning, it’s possible for food companies to implement powerful tactics to address each of these concerns.